Spend 5 Days exploring Shakespeare country, the World Heritage Site of Ironbridge, the mountains and castles of North Wales, the refined elegance of Chatsworth House, the scenic beauty of the Peak District and Yorkshire Dales with time to discover the historic cities of York and Cambridge. Depart from London and make your way to William Shakespeare’s birthplace Stratford on Avon, home to the Tudor thatched cottage and gardens of his wife, Anne Hathaway. You will have time to explore the magnificent village of Stratford and enjoy lunch, before continuing to the World Heritage site of Ironbridge. Set in a stunning forested gorge on the river Severn this historic valley boast the world’s first ever iron bridge and a host of attractions to choose from. It was once described as the most extraordinary district in the world! 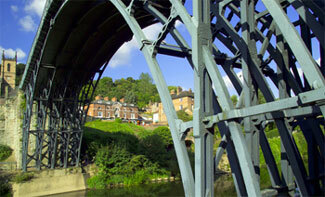 From here you travel to the beautiful riverside town of Shrewsbury for the next 2 nights. 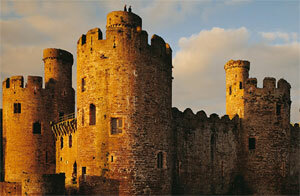 This morning your tour will take you into the heart of North Wales You will travel through beautiful green valleys and lovely little towns and villages then visit the picture book medieval castle of Conwy, built by Edward I in the late 13th century. You will also explore the impressive mountain scenery of the Snowdonia National Park including the huge Dinorwic slate quarries and the dramatic Pass of Llanberis in the shadows of Snowdon - Wales' highest peak. 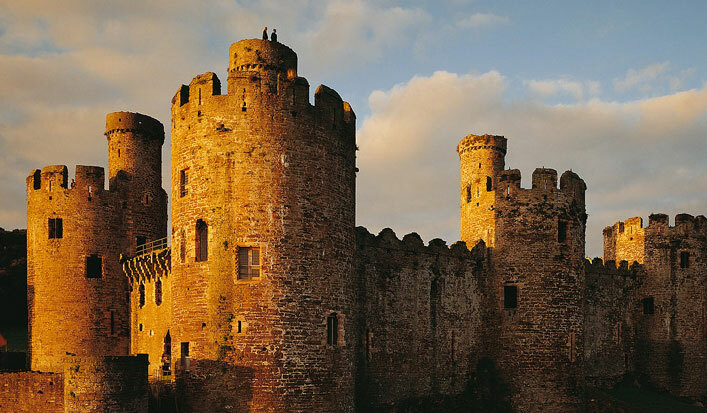 You will hear tales of Owain Glyndwr and the Welsh struggles for independence before travelling back through the borderlands into England. To the northeast of Shrewsbury lie the hills of the Peak District National Park with a mixture of stunning scenery and beautiful little villages. You will take a scenic route through the Park to the village of Castleton then in the afternoon you can visit the famous mansion house and gardens of Chatsworth, home to the Cavendish family, Duke of Devonshire. Chatsworth is often named the UK’s favourite country house and a visit will reveal some of the finest collections of furniture, priceless paintings, Old Master drawings and neo-classical sculptures. From here you will travel east out of the hills to the wonderful historic city of York where you will spend the next 2 nights. Today you have a choice of things to do. 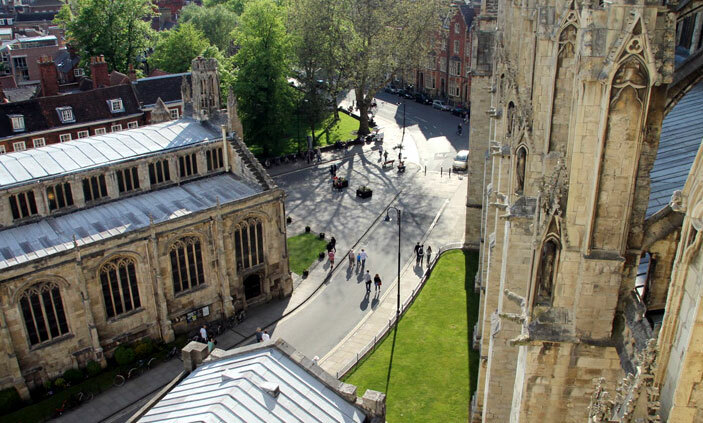 You can spend the whole day at leisure exploring the medieval heart of York, a city whose rich history goes back to the time of the Romans, Vikings and Normans. 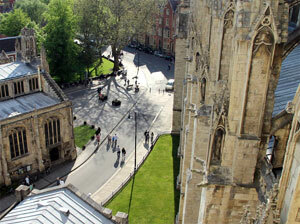 Visit some of the fascinating museums, the amazing York Minster or just lose yourself in the maze of narrow streets and ancient city walls. Alternatively you could join your guide on a half day excursion into the Yorkshire dales visiting the pretty market towns of Knaresborough or Ripon and some of the remote valleys and rugged scenery of the Eastern Dales, followed by a free afternoon in York.